The first and highly anticipated biography of the author of such classics of suspense as "Strangers on a Train" and "The Talented Mr. Ripley." The life of Patricia Highsmith was as secretive and unusual as that of many of the best-known characters who people her "peerlessly disturbing" writing. Yet even as her work - her thrillers, short stories, and the pseudonymous lesbian novel "The Price of Salt" - have found new popularity in the last few years, the life of this famously elusive writer has remained a mystery. 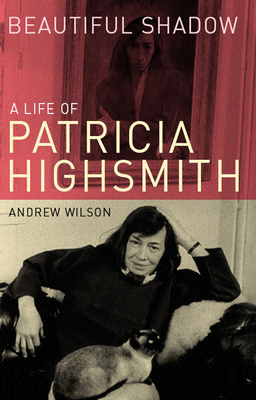 For "Beautiful Shadow," the first biography of Highsmith, journalist Andrew Wilson mined the vast archive of diaries, notebooks, and letters that Patricia Highsmith left behind, astonishing in their candor and detail. He interviewed her closest friends and colleagues as well as some of her many lovers. But Wilson also traces Highsmith's literary roots in the work of Poe, noir, and existentialism, locating the influences that helped distinguish Highsmith's writing so startlingly from more ordinary thrillers. Andrew Wilson has written for most of Britain's national newspapers, including the Daily Telegraph, the Guardian, the Independent on Sunday and the Daily Mail. This is his first book.